A new peer-reviewed study in the Journal of American Physicians and Surgeons by Dr. Indur Goklany calculates that global ethanol production resulted in 192,000 excess deaths in developing countries in 2010. By diverting ever-greater quantities of food into the fuel supply, ethanol—a motor fuel distilled from corn, wheat, soy and palm oils—is making food more expensive, which starves poor people. What is an “excess death?” I’m intrigued at the concept and that one could develop a study around the idea. I’ll admit, it’s interesting enough that I’m curious about other potential causes of “excess deaths” in developing countries. For instance, I’d like to see a complimentary study on how many excess deaths in developing countries resulted from consumption of beef, pork and poultry 2010. That’s because in 2010 37% of the U.S. corn crop was diverted to feed livestock — more than other other use — according to the USDA. I’m worried that the love for burgers, bacon and chicken wings, which is gaining popularity in mega-markets like China and Indian, is making food more expensive, which starves poor people. Simultaneously. I’d like to see a complimentary study on how many excess deaths in developing countries resulted from the $79.52/bbl average price of petroleum in 2010, which, as a major cost input for the production, processing and distribution of food, makes food more expensive, which starves poor people. Was that part of Dr. Goklany’s study? 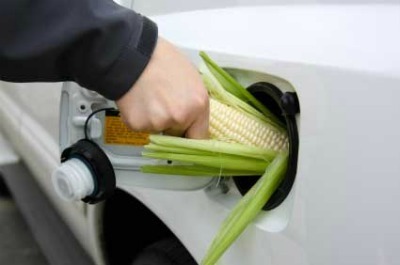 Or did he just want to indict renewable fuels? Finally, I’m curious to know how the very premise of this blog, global warming — which is caused by burning fossil fuels and is bad for growing food crops in parts of the world where people would like to them — is making food more expensive, which starves poor people. Do we think global warming had more or less blame than renewable fuels in the number of poor people “killed” in 2010? Seriously, the premise of the study is as specious as its conclusions are offensive. What else in the global grain supply “killed” people in 2010?